Today was a fairly quiet day of planning on Mars, the reason being that most of the MSL science team is currently attending the Lunar and Planetary Science Conference (LPSC) in Houston, Texas. LPSC kicks off today and is a really exciting time to hear all about the planetary-focused research being conducted all over the world. It's also a great time to make connections and collaborate with fellow scientists! Today we planned for Sol 1998, which was mostly devoted to remote science observations as we drive along the VRR to our next area of interest. We have a hefty, 2-hour science block, which starts off with a couple of Mastcam multispectral observations on the "Red Hill" and "Red Cuillin" areas. 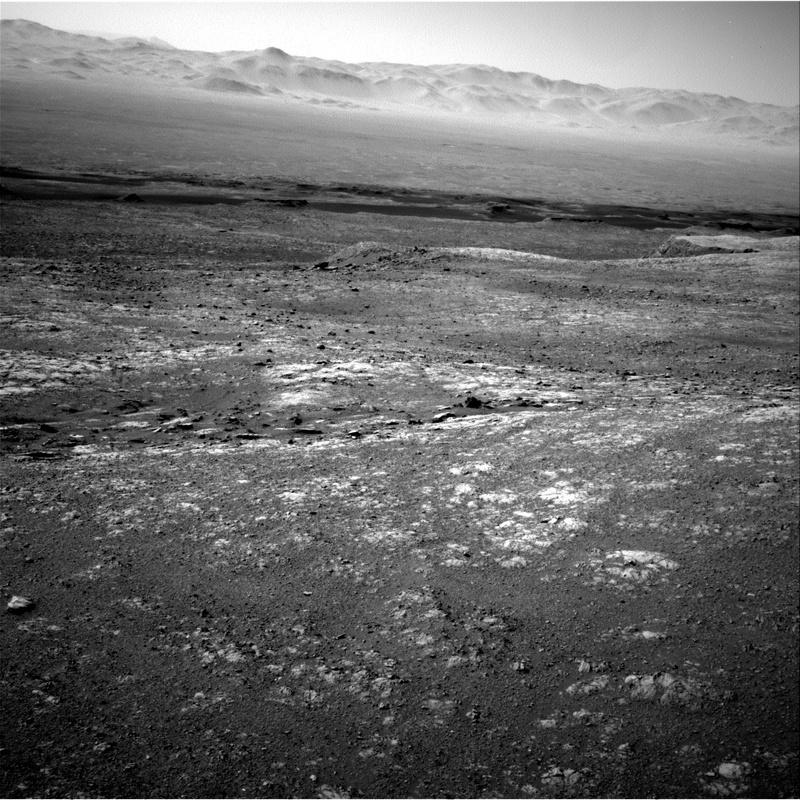 These observations are intended to investigate the spectral properties of the terrain just ahead of the rover. We'll then take a stereo mosaic of the "Sgurr Alasdair" target to document the stratigraphic relationships of nearby rocks. After Mastcam, we'll take a suite of ChemCam observations. First, we'll take LIBS measurements on bedrock targets "Ochil" and "Orval," followed by RMI mosaics of yardang and fan features off in the distance. Following our science block, the rover will perform a drive and take some standard post-drive images. We also have a post-drive science block, during which we intend to carry out a few ENV observations to monitor atmospheric and cloud properties. Today I served as Mastcam PUL-1 and am working my shift remotely from the conference center at LPSC. I will be presenting some of my PhD research later this week, focused on fractures and veins that we've observed using the Curiosity rover and HiRISE orbital camera.